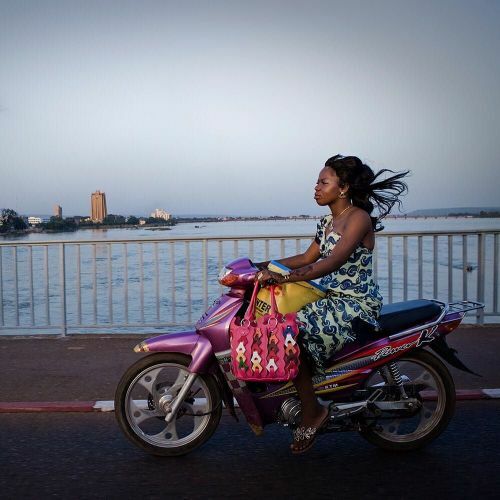 "A woman rode her motorcycle across the Niger River in #Bamako, Mali. When Islamic radicals forcefully occupied northern #Mali in 2012, they imposed strict Shariah law. For nine months, women were forced to remain indoors and wear full body and face-covering veils. @katieorlinsky, who traveled there in the fall of 2013, sought to understand how women were affected by the temporary Islamic rule. Her photos, and others from Africa that have been featured on the #lensblog, are showing in an exhibit at @lagosphotofestival, which begins this weekend." By nytimes on Instagram.